Ahmad Brothers is a specialised POS Solution provider in all major cities of Pakistan. Our Solution is Industry Based Solution for Small to Large size retail outlet, single store or chain stores. Web Based Online POS Point Of Sales Management System Specially designed for Super Store, Super Market, Garment, Medical, Cosmetics, Bakery, Production, Optician, Restaurant, Fast Food, Auto Mobile Parts, Ware House Management, Educational Solution, Stationary, Computer Store, Shoes and Bag, Paper Distribution Production, business expert. We offer a powerfull and easy to use POS (Point of Slaes) / Retail Management System in all major cities in Pakistan ie. Karachi, Lahore, Islamabad, Faisalabad and out of Pakistan also. Our POS system meets all the requiremthe of a modern and high tech sales outlet. It helps mangers to design, planning, execution, control and monitoring of sales activity. Provide tight integration with other modules to share valuable information, including forecasts, orders, inventory, transportation and receiveable etc. Account Plus POS software is most modern, smart and efficient POS system, which is capable to handle most stores’ needs. It is ideal to manage the entire operations for any retail outlet in a proper manner. Provide provision to gain more profit to control your expenses and increase your sales. Our designed POS system capable to handle your entire outlet transactions, speedier and smoother. As all of us know that the retail sector is a back bone of any economy and plays most important and crucial role for economy. The major problem of any retail sector is a lot of transactions and these transactions are increasing day by day, to control and manage those transactions need man power and we know this is very expensive. And we don’t achieve desire result after paying lot of money. What we need to know that only an efficient software like Account Plus Point of Sales System can tackle this challenge effectively and accurately. Retail sector not only contributes major shares in the industry but based on direct customer interactions. Every customer has his own and unique desire. They want importance, respect, confidence and peace of mind along with buying. Manual transactions or ordinary POS software cannot provide these types of facility, result mentally tired and un-efficient salesman. A mentally tired person cannot handle customers properly, so customer never feel comfortable and never satisfy with provided services, result they move to other outlets. Provide two types of customer option, walking customer and registered customer. With registered customer option you can execute any kind of promotions and send them promotional emails and SMS directly through our software without any mail client. Our software is not only POS software. It is a management tools. It manages your business in your absence and don’t forget to inform you timely. Keeps you inform regarding daily sales, expenses, revenue and of course daily stock position and daily sales item stock position on daily across the glove through emails and SMS. Our POS Point of Sales software provide useful and efficient path to satisfy your customers in short time. Provide peace of mind to salesman so they done their job efficiently and accurately. They are able to handle their customer on a better way with fresh mind and keep happy them. Multiple ways to search item, barcode, single item selection lookup, multiple item selection lookup. Barcode Our software can easily integrate with any barcode scanner, there is no barrier for specific barcode scanner, you can attach any barcode scanner with our software. What is a Point of Sale (POS) System? What is a Point of Sale System? Also known as a POS system, it is used to make the system or instruments for the sale of an item. It is the point where the transaction takes place, where money is paid and a receipt for the consumer. It may be a cash register at the local department store, shows the debit card reader on a mobile phone at a craft or handwritten ticket at a fair. They are all types of Point of Sale Systems. POS technology provides a simple and portable tool for businesses of all kinds that are made. Here we will look at a number of different types and help you, that you will find a job for you. Where are the sales? Wikipedia, the free encyclopedia describes the sale as a "Point of Sale (POS) or checkout is the location where a transaction in exchange for goods or services is made." You can read about them at the following link more. To keep it simple, the point where the money changes hands. As an independent consultant for various companies at home, it takes different forms. We do not think about it in those exact terms, but it is just that: Point of Sale. POS sell in a yard if you take the money and give them their treats. In a large party, it is if you accept payments and their reception. In a department store, the cash register. Online, there are many methods, including those that many direct sales companies. 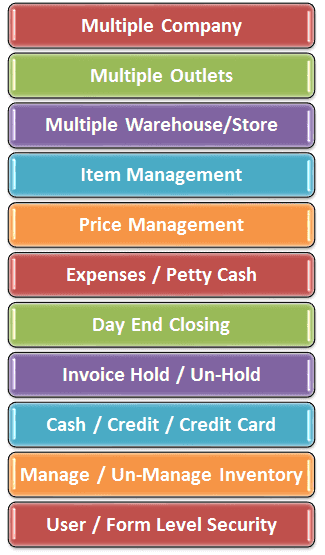 There are many types of POS systems. We are a few of them here, including a number of different styles of home-based commerce. Customer Order Forms Many home-based businesses, consultants, sales order form. A copy of this form serves as a receipt for the customer while others are used as the order and income documents for the consultant. They are finished by hand by the consultant and the web for purchases. Most of them have a face on it for the documentation of the method of payment and verification of receipt. Every business has its form with the data that is most likely to buy their products. In the long run, they are all equal. You have proof of purchase. The receipt of cash or a check from a customer makes it official. The sale is final in the policies of the company, which is often included at the back of the order form. credit card reader Checkout has been around since 1879; it has many versions. Over the years, there were also. Many payment cash, checks and credit cards are the known methods for most of us. Credits cards are virtually replaced the use of cash and checks for many people. Bank cards are popular due to its convenience and security. In a retail location, most debit or credit cards are now of an electronic device stolen permit is often a PIN pad because the numeric keypad on the past. Identification number or PIN drive These quickly at the POS, which is the most often mentioned checkout. The funds will be transferred electronically by the consumer is good for the reseller account automatically with a single blow. Not long ago, it would have to Treasurer number in a keyboard that has a remote connection to process information manually. It will now be forwarded immediately, and the transaction was completed on location. For the home direct sales and independent contractors, the use of readers has become a popular option. These are now in a plug-in device directly to a mobile phone or other electronic device that attaches electronically transferred to the account of the contractor. Funds There are a number of products offered by the company is for everyone to use. They are convenient and easy to use so that the transaction at an outdoor event quickly and efficiently for both the customer and the supplier. There are different types available. Two popular readers is Intuit GoPayment Intuit and Square card readers. The Intuit GoPayment is free and requires a small fee for each transaction. This is quickly absorbed by the customer convenience charge. The funds will be transferred to a prepaid debit card in the name of the owner or seller of the business. The seller can then order your debit card or pay for their business expenses by using this card. It is fast and efficient, and no hidden costs. POS device is a handy business tool for the average person. Coordinators can be used to monitor groups of individuals within the group and compensation for the cost. Dues, equipment and uniform purchases, you are very helpful, and the possibilities are almost endless! online checkout If you've ever bought something from a store or online catalog, so you have an online checkout using POS. The purchase of an article about an online fund may involve a variety of payment methods. They may be using an e-check, credit or debit card, or even a payment system like PayPal. Whatever the method of transfer of funds, use of the online checkout only a laptop is gone! It is used by large companies such as Sears, insurance companies and direct marketing companies worldwide. It offers consumers a quick and easy way to create. Payments for utilities or buy online cash are quick and simple to use. You make the purchase of a product from all over the world for just anyone. The sales It is a program that runs on the POS products specifically for restaurants, bars, stores, car dealers, and on and on the list. Look for programs that are specifically tailored to your needs, and you will discover that you replace a simple and efficient manner, goods for money and help make your business successful, you need to be. POS It's all about making a sale. State, the procedure and the appliances are all just part of the preparation of the sale. POS is the most important part of the transaction. The exchange of money for a product or service is what makes a company successful. With the most up-to-date equipment, technology and software sales are doing. Faster and more efficient Consider what the point of sale is the most effective and put them to work to make money for you.